Alright already. I finally risked it and made a whole roasted chicken with gluten free croutons. Say what? Crunchy yummy gluten free croutons. But first, let’s talk about roasting whole chickens. Years ago I made my first roasted chicken following one of Ina Garten’s recipes to a T. It’s one of those low investment/high return kind of cooking accomplishments. 1. It usually requires very few additional ingredients – in this case: lemon, onion, thyme, garlic, and butter. 2. If a roasted butter sauce sounds good, well you should smell it all afternoon. 3. It drips and roasts itself into this amazing sauce while you do many other things with your time. No gravy making, no stirring over a stove, no crazy amount of dishes. Done. 4. Want to feel accomplished? Roast a whole chicken. But I’m not here to convince you. Ha. I kind of am because I care and love to share good things, but I do understand that one can be satisfied with plain chicken when we all weigh different wants and needs. 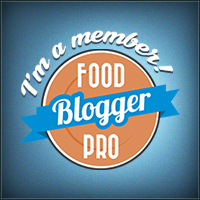 I’ve personally found it worth liking the taste of my food (and look forward to my next meal!) when making boring food takes just as much time. The ONLY thing keeping me from eating Ina’s Lemon Chicken with Croutons all the time has been the bread. In this particular recipe, you set a roasted chicken on a bed of crunchy homemade croutons to soak up the juices. Uh huh. Now I am really NOT here to convince you to eat gluten free. We’ve just done our personal experiments over here resulting in the inability to go back to sooo much bread. For months I’ve wanted to try a roasted chicken with gf croutons, but it’s always a risk taking a favorite recipe and removing the gluten. Hello, impending failure. Especially when we all have the original memory to compare. Today I was in the mood to risk it. Not just sort of but it was delicious! If I were Whole30 right now, it’s also good to remember this chicken without the croutons is always a great option. Last night we had roasted carrots and steamed broccoli on the side. The sauce just ran across the entire plate. I said delicious, people. Here’s my whole roasted lemon thyme chicken with gluten free croutons that’s both weeknight and dinner party worthy. Gather your quartered lemons, onion slices, peeled garlic, thyme sprigs, grind your pepper and set aside salt ready to put your dish together. Rinse whole chicken inside and out. Pat it dry. Salt and pepper the inside of your chicken. Stuff your lemons, garlic, and thyme inside the chicken. Tie the legs together with kitchen string or twine if you have it. Toss your onions into your roasting pan with a few glugs of olive oil, toss them around. Rest chicken on top. Brush the outside of the chicken with 2 tablespoons of melted butter. Salt and pepper the outside of chicken. Cook for 1 hour and 15 minutes at 425°. If using croutons, you can make them now or at the end while the chicken is resting. When the chicken reaches the 1¼ hour point, I like to check the chicken's temperature in the breast meat. If it reads 180°, then it is done. If it's not 180°, then put it back in for 10-15 more minutes and check it again. A 4-5 lb chicken usually takes about 1½ hours total and has the perfect golden crisp skin. When it is done, I let it rest in the pan for another 15 minutes. If serving with croutons, spread out croutons on serving platter. Cut chicken into serving pieces, or keep whole, and set on top of croutons. Pour pan juices and onions over the chicken and croutons and serve. Remove the crusty end pieces of the bread loaf and slice off the crusts on all sides. Cut slices into 1-inch cubes or squares. Heat 2 tablespoons of clarified butter or olive oil in a pan, place bread pieces flat down just until edges start to brown, 30 seconds at the most in a hot pan. Using tongs turn quickly to brown both sides. Sprinkle with a pinch of salt and pepper for each batch. Remove from pan, add more butter or oil and repeat until all croutons are toasted. Bread burns fast so keep an eye on it and adjust the heat; you don't need it to smoke! Hi Heather!! I just put this in the oven for tonight!! Thanks for the recipe! I also have to tell you that Joel and I are doing the whole30 right now. It’s actually my 3rd one and Joel’s second. You were the one that inspired me to get the book and try it!!! Thank you!! I love it…with all it’s ups and downs;). My sister and my parents have both done it too. I just thought I should tell you!! I also just made ghee for the first time tonight using your recipe. So easy!! Anyway hope you and your family are doing well. And thanks for all the great recipes and inspiration. What?!! You guys rock. I would love to hear what you all have learned – there is so much to it and I know I have more to learn. 3 times is incredible, Heather! I have so many questions!! Ghee is a staple now over here along with many other things. I hope the chicken turned out great and you enjoyed that sauce.